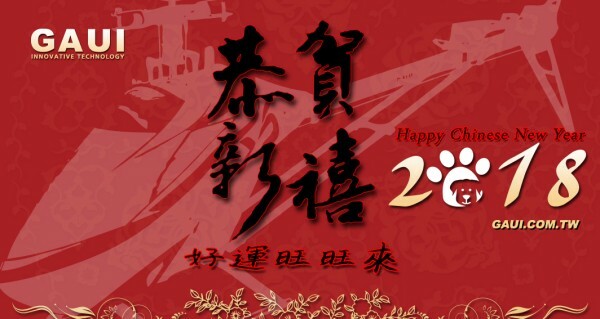 Tai Shih Hobby Corporation (GAUI) will be closed for the Chinese New Year holidays starting from 15th to the 20th of February, 2018; We will resume work at February 21st, 2018. If you need urgent assistance during these days, please write to our email and we will get back to you asap. We hope everyone can have a great holiday.